Oropharyngeal squamous cell carcinoma (OPSCC) incidence rates have been steadily increasing over the past several decades, and this has been largely attributed to human papillomavirus (HPV)-related OPSCC. 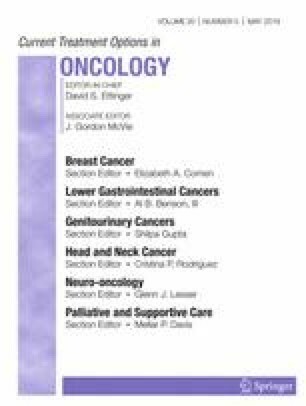 The rise of HPV-related OPSCC and the observed distinct survival advantage it offers compared to HPV-unrelated OPSCC have resulted in the development of a new staging system specifically for OPSCC in the eighth edition of the AJCC Staging Manual for head and neck cancer. The observations on HPV-related OPSCC and its prognostic implications have coincided with increasing utilization of transoral surgical approaches to oropharyngeal tumors, such as transoral laser microsurgery (TLM) and transoral robotic surgery (TORS). These approaches were once thought to only be applicable to patients with low T-stage OPSCC tumors; however, they are being increasingly utilized in locally advanced OPSCC cases as several studies have shown that both of these transoral approaches are oncologically sound alternatives to concurrent chemoradiation therapy (CCRT), which was previously the standard-of-choice treatment in patients with locally advanced disease. Moreover, these transoral approaches have displayed better long-term swallowing outcomes compared to CCRT, as severe dysphagia is often the most bothersome functional impairment to OPSCC survivors who have undergone CCRT. While open surgical approaches were previously not utilized in the locally advanced OPSCC setting due to the risk of severe surgical complications compared to the potential benefits of organ preservation with CCRT and comparable survival rates after either treatment regimen, these approaches are still reasonable options for select patients in the salvage surgery setting, as they allow for maximum exposure to the deep oropharyngeal anatomy. Data from multiple clinical trials evaluating the potential for TORS to de-escalate radiation dose or CCRT regimen in certain settings will inform clinical decision-making for OPSCC patients for the next decade and allow for more personalized treatments tailored to an individual patient’s disease burden.